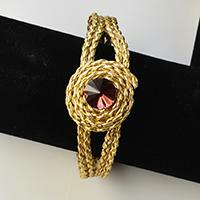 Summary: Are u considering for spring fashion jewelry? 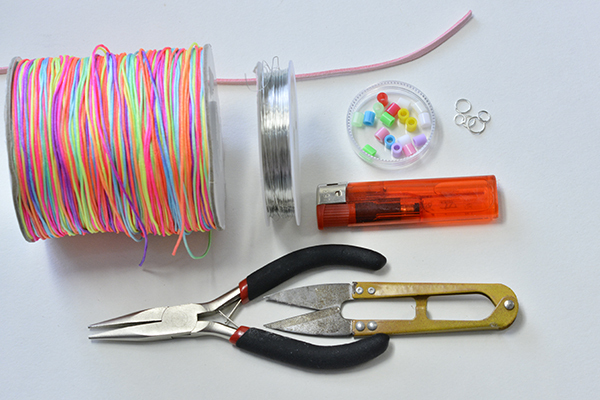 Now, I will show you step by step of making a charming colorful cord bracelet . 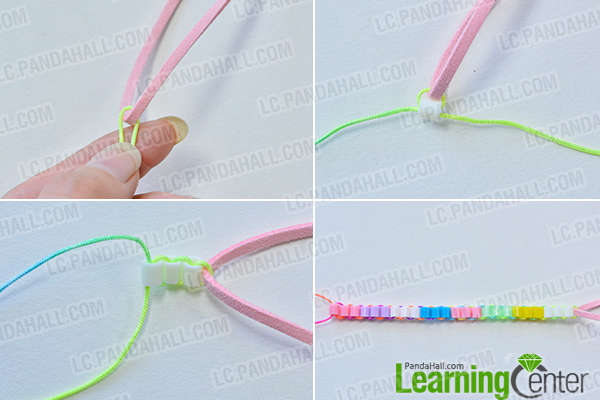 Maybe sometimes u will wonder what u can choose as the gift to your friends, this easy DIY friendship bracelet will be a great choice, simple but full of love, So let us get start to do that! 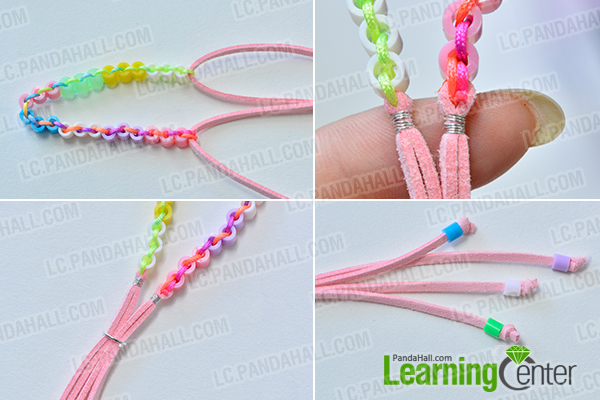 3rd, Continue to add 2 more white beads like above crossed the thread cord, then, 3 yellow acrylic beads, 3 green, 3 pink, 3 blue, 3 white, 3 purple, 3 pink. 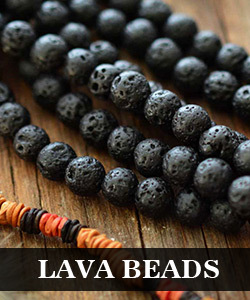 4th, Add four pink faux suede cords with four acrylic beads to the end of in different colors, and make a knot. 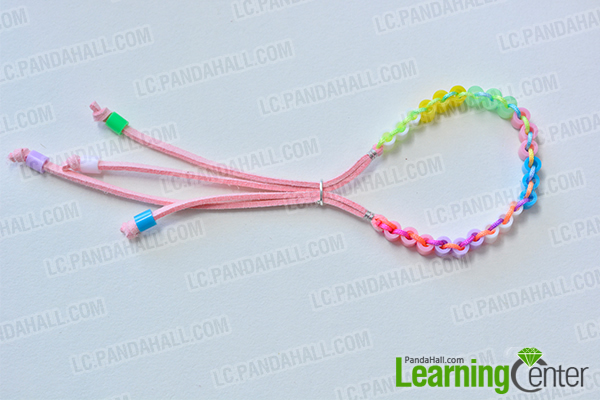 How do you think of the colorful friendship bracelet? 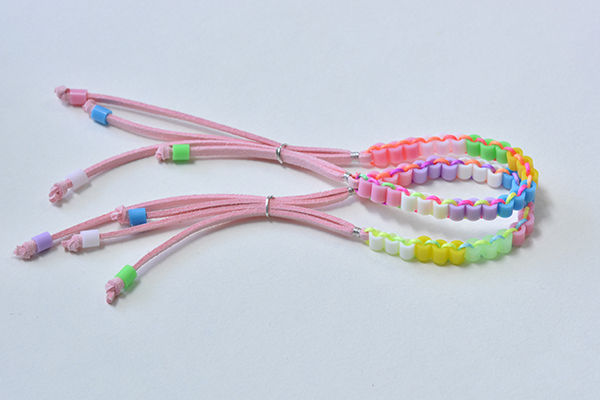 I believe that your friends will be much happy to receive this friendship bracelet, it just takes u little patience to finish. 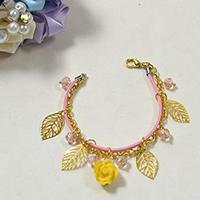 With the spring coming, you can wear this together with your friends when you go out to have picnic.